More Wellington County residents are using expanded rural pickup to send recycling, rather than garbage, to local landfill and transfer station sites. However, overall, county residents have been slow to adopt to the new service. 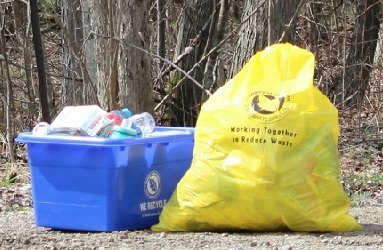 A staff report presented at the Sept. 28 Wellington County council meeting indicates total recycling managed by the county’s solid waste services division increased by 359 tonnes since the expansion of rural collection in July 2016. This represents a 6.4 per cent increase over the same period the previous year. Over the same period, garbage disposed increased by less than 1%, even with population growth in the county. “This suggests that with the convenience of curbside service, more recycling was captured in the blue box program rather than in the garbage stream,” solid waste services manager Das Soligo explains in the report. Councillor Don McKay, chair of the solid waste services committee, told council rural residents haven’t switched to the new system as quickly as anticipated.